Is there anything better than delicious, succulent lobster? Now you can enjoy this luxurious delicacy in one of New York’s most iconic locations at an exceptional price. 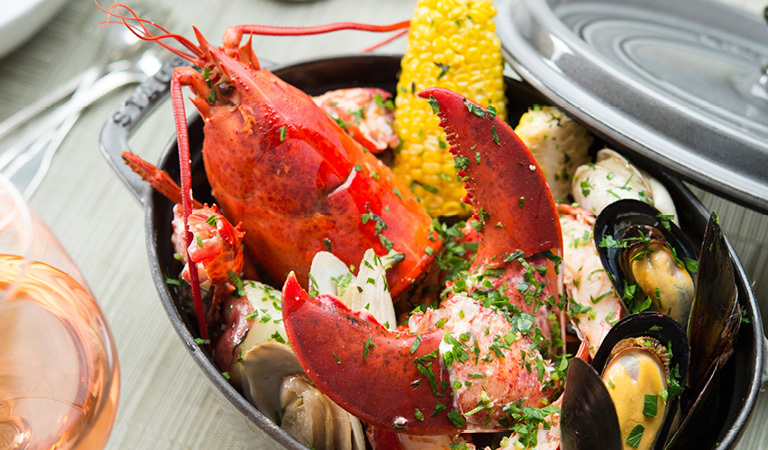 For a limited time, The Sea Grill will offer a 3-course, $55 Lobster Dinner Prix Fixe Menu. The Sea Grill, located inside the famed Rockefeller Center, is one of New York City’s premiere seafood restaurants. The views from the restaurant span the plaza at Rockefeller Center. The Sea Grill starts serving dinner at 5:00pm, Monday through Saturday. Reserve your table early for preferred seating while this offer is still available!